I have been relatively wary of the gel or shellac manicures. I haven't actually tried them, but mostly because I'm a bit put off by anything that requires that level of maintenance. They're also expensive here in London and not only that... I'm not particularly thrilled about sticking my hands under a UV light for several minutes every few weeks... 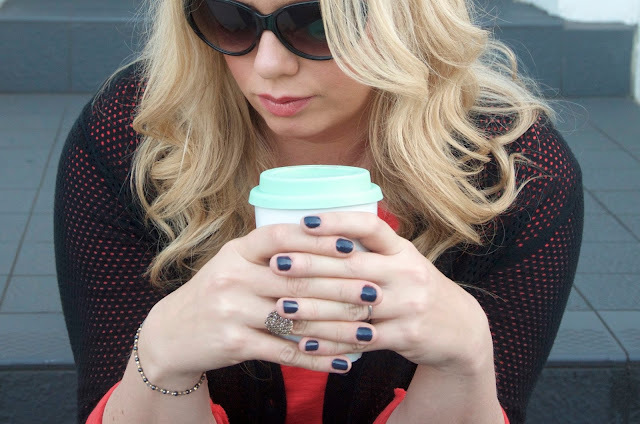 Though I've heard they're safe enough, aging, spots and UV exposure aren't exactly something I want to risk at all for the sake of super shiny nails. I know there are alternative lamps to the UV ones, but let's just say when it comes to these gel manicures, for me it's definitely not a "Hell yes!" no matter how many times they're recommended to me by manicurists. That said, my friends who have gel manicures have the shiniest, most impeccable nails all the time and I am admittedly a little envious. So I was delighted to find on my most recent trip to the beauty aisle at the pharmacy that high street beauty brands are coming up with cheaper, at-home solutions that don't involve any lamps. 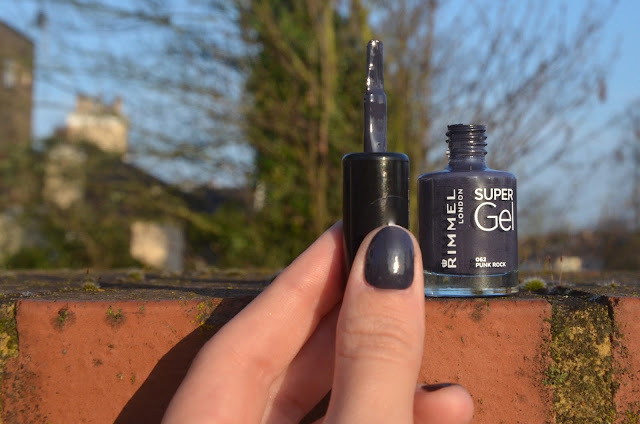 Rimmel London Super Gel is one of these options and I couldn't wait to give it a try! I chose Punk Rock, a dark grey color and it's fab. Applying Rimmel London Super Gel is as easy as 1, 2, 3 for anyone who's used to painting their own nails. I start with a base coat before applying 2 coats of the nail color and finishing it off with the Rimmel Super Gel Top Coat. Easy peasy! It does take a good bit of time to dry completely - about 20 or 30 minutes, but the finish is smooth and super shiny. This nail polish also feels a bit harder or sturdier than traditional high street nail polishes when it's completely dry. My only complaint about these polishes would be that the brushes are quite wide, but once you get used to them, they're totally fine and worth putting up with for such shiny nails. Rimmel Super Gel polishes are also removable with regular nail polish remover, so there's no worry about having to visit a salon when you're ready for a change. 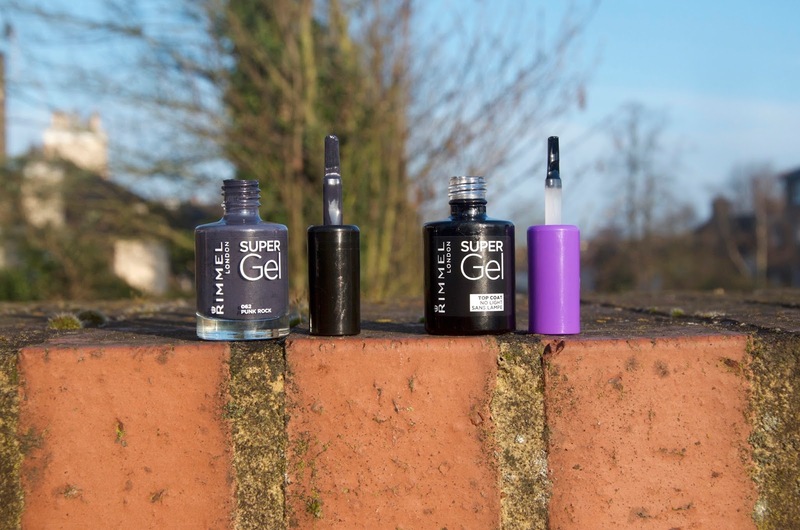 Rimmel Super Gel Nail Polish and Top Coat are £5.99 each and both are available from ASOS and they provide a nice, affordable alternative to oh-so-popular, expensive and high maintenance salon gel manicures.